Your life's work is too important to simply begrudge and endure. A business parable for the ages, Hallelujah! will help you to "hear the music" at work and to believe in the dignity of life's labors. When Susan is unexpectedly promoted to store manager, productivity falls, tension rises, and the best employees begin to leave. Soon, Susan becomes bitter and cynical about the job she used to love. But when Susan takes a friend's suggestion and joins a local choir, she learns more about compassion, humility, and everyday grace-and she begins to transform her job into a place of purposeful work. Hallelujah! 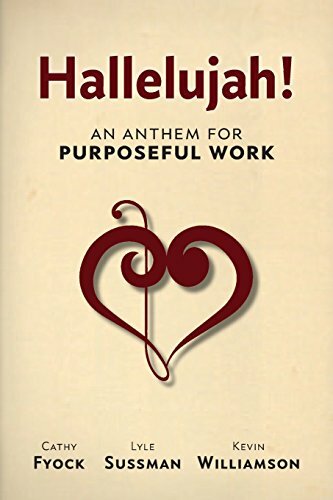 An Anthem for Purposeful Work takes business parables in a different and beautiful direction. The main narrative is driven by believable characters, simple presentation, and situations that anyone could realistically encounter. The narrative is wrapped up by a series of Testaments, or statements of principle aimed at helping readers to bring purpose into their own work and lives.